You already know the importance of patient perceptions in the context of your practice. From the moment a person steps through your door, he or she will draw conclusions about your service, your expertise, and your concern for patients. You have the opportunity to influence those perceptions by crafting a positive patient experience based on everything from the office setup to the amount of time spent with the healthcare practitioner. But did you know that those same concepts also apply to your patients’ online experience? Studies show that you have about eight seconds to capture a visitor’s attention before that person clicks away and heads somewhere else. Broken links, difficult navigation, or excessively slow response times end up frustrating visitors. If your website isn’t designed with user experience in mind, they won’t stick around long enough to find out how they can benefit from your services. 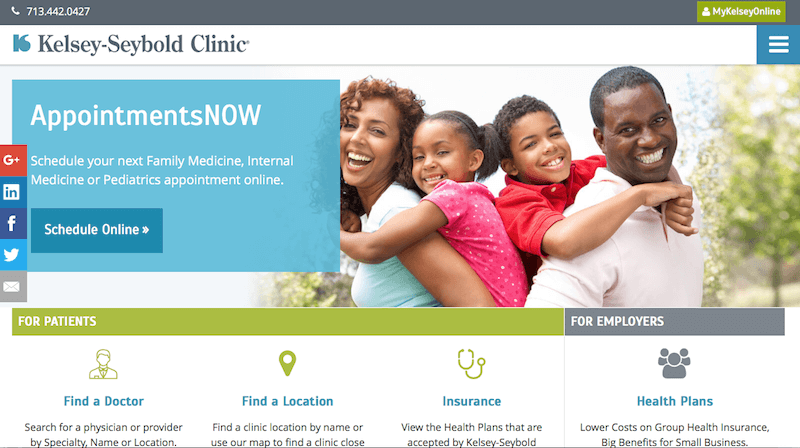 The best website designs for doctors focus on delivering a superior patient experience. Your website acts as a window into your practice, and it should reflect both the professionalism and the level of care people can expect to receive. But how do you create a website that engages your patients? Here are four medical organizations that are doing a phenomenal job. Astanza Laser uses a clean, clear home page to show visitors exactly what steps they should take next. A video showcases some of the services offered and the design incorporates a prominent, keyword-focused call to action. Straightforward navigation makes it easy to find what you’re looking for, while the home page itself focuses on benefit rather than just products and services. 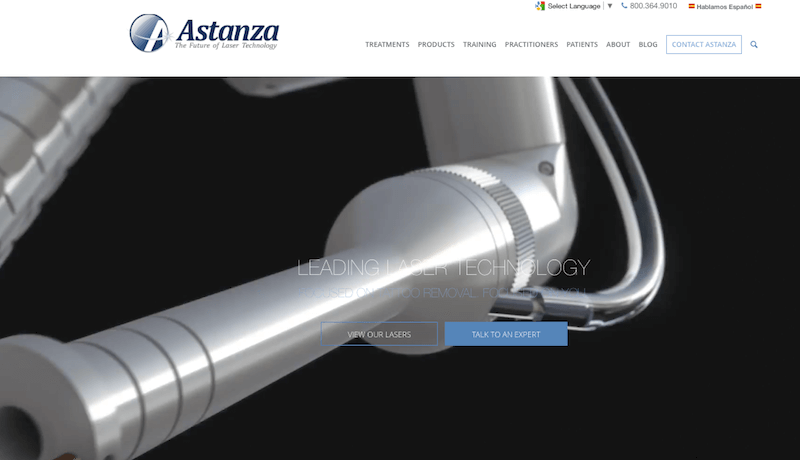 Astanza Laser’s website provides an easy way to find out more or talk to an expert, and uses compelling video messaging to inform visitors about the process. They also include a relevant blog and an informative About page with an overview of what the company offers. Kelsey-Seybold's home page provides answers to specific questions patients might have. Patient-oriented search functions make it easy to find a specific doctor or practice, and navigation buttons take you directly to the information you’re looking for without having to scroll through lengthy drop-down menus. Kelsey-Seybold nails the call to action, with an online scheduling feature prominently displayed as soon as you land on the home page. The site also includes an informative blog and links to more information about practical health topics. In the medical industry, trust takes center stage for many patients. People want to know they’ve chosen the right doctor and that he or she will take a personal approach to their care. The Cleveland Clinic knocks it out of the park with their authoritative, trust-focused website. They provide targeted content for both current patients and visitors, and they make it easy to learn how and where to find a doctor. They also prominently display trust credentials, and their extensive health library helps visitors research specific health conditions. 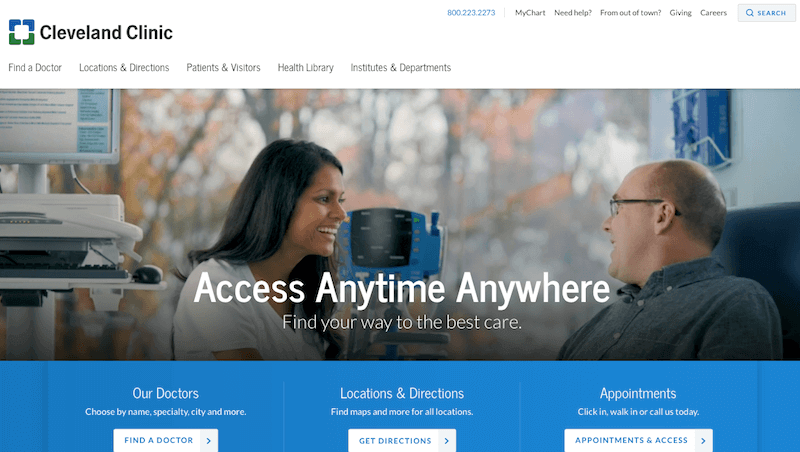 The patient portal increases engagement by giving patients easy access to scheduling options, test results, messages, and other helpful information. Simple, intuitive navigation makes it easy to find what you’re looking for on the site, and there are clear calls to action on every page. 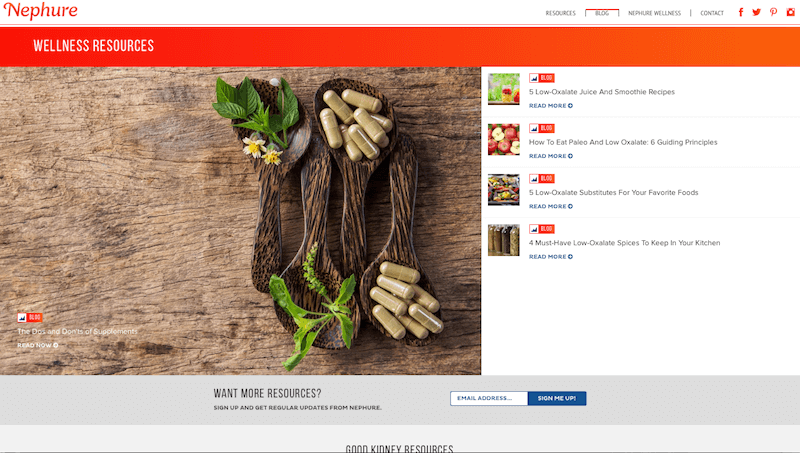 Nephure's blog focuses on wellness resources and healthy nutrition. The blog layout and clean, fresh design draws readers in with compelling images and headlines, and the content itself uses well-crafted, keyword-focused wording to capture interest. Social buttons offer opportunities to connect or share posts, and a prominent contact form makes it easy to leave comments or ask questions. The navigation bar features clear links to different pages so users can easily find the information they need. You may have noticed that these sites have several things in common. 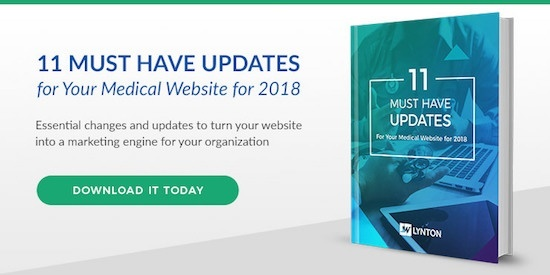 Easy navigation tools, prominent calls to action, patient-focused content, and compelling visuals all work together to create an engaging website design. It’s all part of the superior patient experience people have come to expect from their healthcare practitioners. Ready to take the next step? 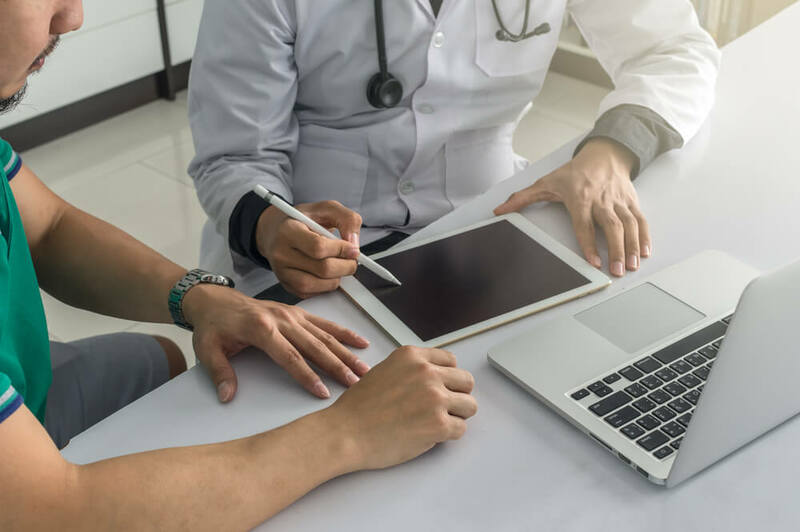 If you want to design a medical website that optimizes patient experience and fills your appointment book, call us today for your free consultation!